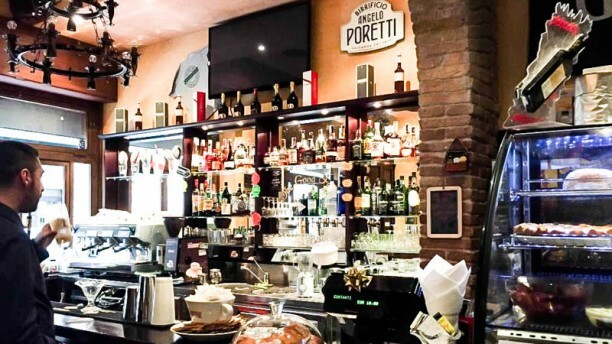 ACCOGLIENZA - A pochi passi dalle Terme di Diocleziano, nel cuore di Roma, sorge il Ristorante The Good Fellas. Un ambiente cordiale, tipico da pub, dove i proprietari ed il personale di sala accolgono con molta cortesia e professionalità i clienti, in modo da farli sentire sempre come a casa loro. COSA SI MANGIA - Il locale propone un menù ricco di piatti molto gustosi e rustici, preparati con ricette mediterranee. Molto buoni i panini proposti, così come la pizza e i dolci, rigorosamente fatti in casa, tra i quali spicca la delizia al limone. DA BERE - Per accompagnare il pasto, non possono mancare buonissime birre, artigianali e non. Inoltre, è possibile ordinare ottimi cocktail preparati al momento. We visited after a very long day travelling, taking into account first impressions, never judge a book by it`s cover. The atmosphere and attentiveness of the staff was excellent, nothing was too much trouble and the meals were whole hearty and good value, we remained for best part of the evening and with a constant changing client base it added to the atmosphere. If visiting Rome it is well worth a visit, we stayed in Hotel Camelia which is literally steps away. We have been there twice. The first time was cocktails only and the staff was in a good mood, cocktails were perfectly mixed and we also got some shots and snacks for free. As the food looked good on our first visit we decided to come back. We had a cheeseburger and mozarella and prosciutto sandwich, grilled vegetables and water. Afterwards each of us had a cocktail again. As we wanted to pay we were asked to stay and got some snacks again and drinks for free - cocktails this time.